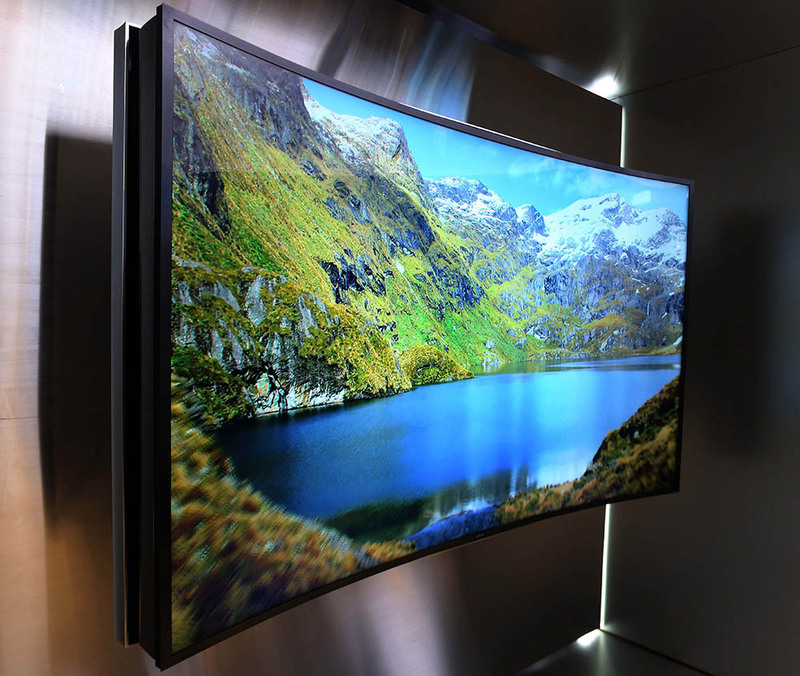 Despite the current trend for curved TV displays, lots of people think its another fancy gimmick. So, Samsung gave you a choice to decide with its New bendable TV that can bends before you Eyes, Yes... Samsung New Flexible/Bendable TV is flat and with a push of a button can turn into curved, so you can have both features on the same TV, Check the video below to see it. This is Samsung world's first flexible/bendable TV in South Korea and its already Available for sale for a Premium price of $260,000. This Flexible 105-inch biggest appeal is that you'll no longer have to choose between a curvedscreen or a flat one, because it's the first TV that can be both. Just press a button on the remote control and it transforms itself from a flat screen to one that's curved. As far as pricing goes we don't have any details yet, but we think it's safe to assume that it won't be cheap. 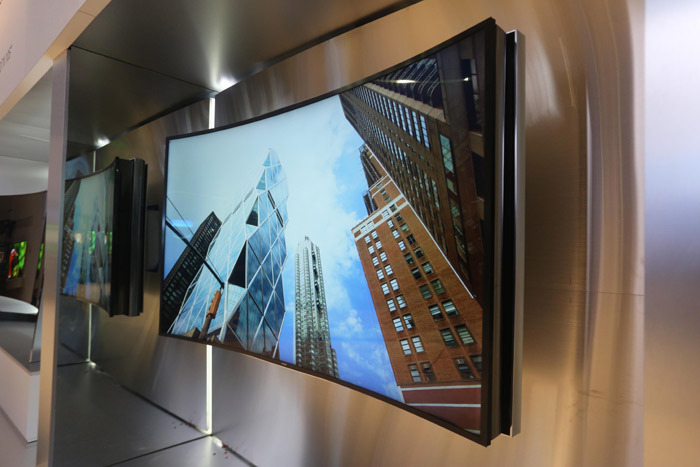 Certainly not if Samsung's latest "regular" curved screen 4K TV is anything to go by, anyway. 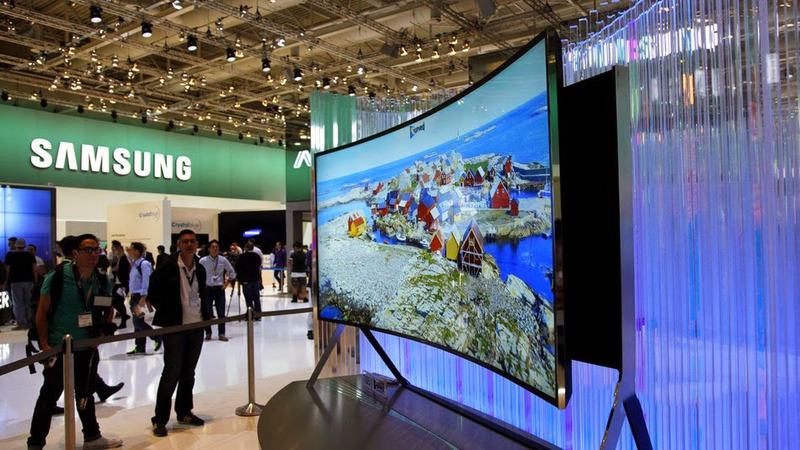 Despite the current trend for curved TV displays, lots of people think its another fancy gimmick. So, Samsung gave you a choice to decide with its New bendable TV, Yes... Samsung New Flexible/Bendable TV is flat and with a push of a button can turn into curved, so you can have both features on the same TV, Check the video below to see it. This is Samsung world's first flexible/bendable TV in South Korea and its already Available for sale. The 78-inch UN78S9B biggest appeal is that you'll no longer have to choose between a bendy screen or a flat one, because it's the first TV that can be both. Just press a button on the remote control and it transforms itself from a flat screen to one that's curved. 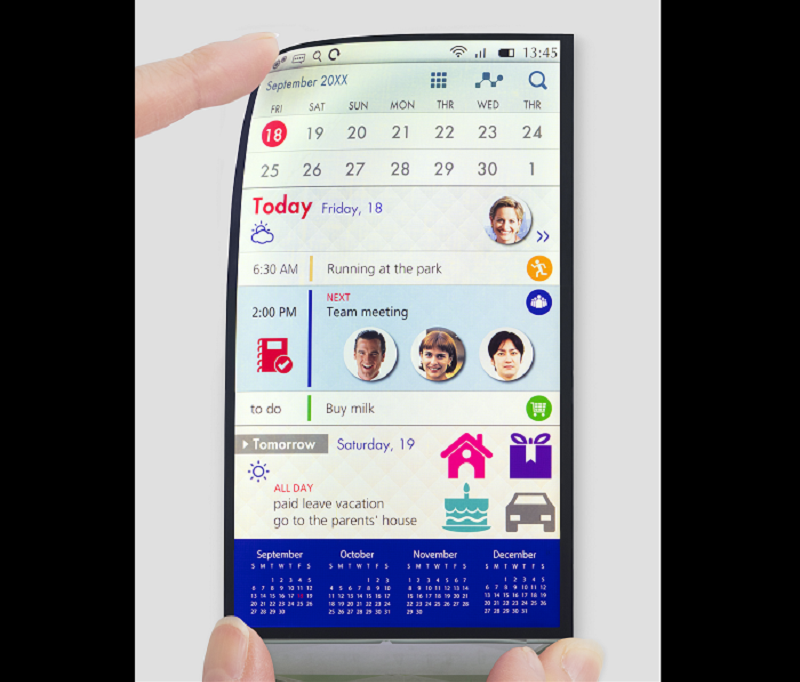 Flexible displays are slowly but surely making their way into our mobile devices. Samsung's first official Smartphone with a flexible curved display is the Galaxy Note Edge. Samsung's next step, however, will be represented by displays that can be "folded in half", according to a senior Samsung executive. The wording seems to imply that the smartphone that will have that screen attached to it will be bendable as well. Samsung's display-making subsidiary is gearing up for production of such panels, and it boasts that it will have the capacity to make 30,000 to 40,000 of them each month by the end of 2015. 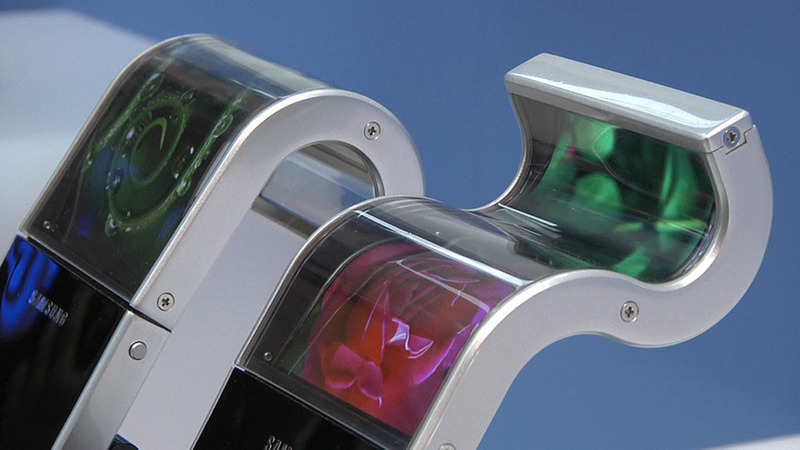 Apparently, none of Samsung's competitors will be able to match that production capacity for flexible displays until 2016. 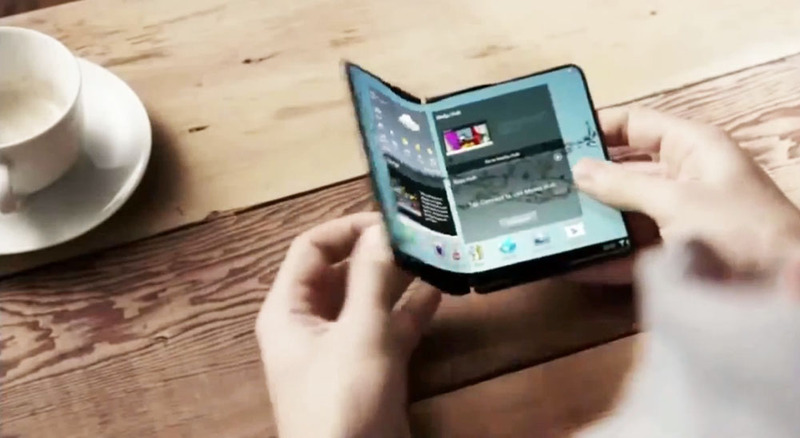 And Samsung plans to use its advantage, by coming out with a bendable phone before the end of 2015. That said, "nothing has been decided on the finished product" just yet. But if it does come out in 2015, expect it to be another "limited edition" type thing, just like the Galaxy Note Edge is this year. That's because a mass market flagship will require millions of units being made per month, and not tens of thousands. Will bendable displays and new proximity sensors make their way onto the iPhone 8? A new rumor has it that Apple will be introducing bendable plastic LCD panels from JDI with the iPhone 8. However, that seems quite improbable unfortunately for Apple fans. Although the flexible LCD panels, also known as Full Active Flex screen could have given the dual curved Edge displays from Samsung a bit of competition, JDI has no plans of entering into mass production of the panels before 2018. While this does mean that future iPhones could very well be sporting the bendable displays that the rumors have been predicting, it is very unlikely that the iPhone 8 will be sporting it in 2017. In a report by Reuters, it was stated that Liberum analyst Janardan Menon is implying that STMicroelectronics has struck a major deal with Apple. The deal was probably even mentioned in the company's financials for 2016, albeit anonymously. If it is true, then STMicroelectronics will probably be supplying Apple with a new type of proximity sensors for the iPhone 8. What these new sensors will be used for is beyond us at this moment, but it could have something to do with AR or VR integration. We will find out more soon enough.